Wow, cats are hitting the jackpot lately with seriously cool luxury litter boxes. 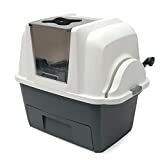 First we had the amazing Cat Genie - Automatic Flushing Litter Box and now there's the just as cool Litter Robot - Automatic Self-Cleaning Litter Box. 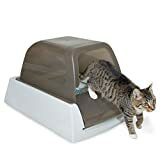 The Litter Robot looks like something straight out of Star Wars or maybe a kitty teleportation pod, but it's actually an ingenious self-cleaning, scoop-free litter box. Here's how it works. 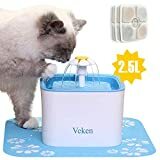 After your cat enters the globe, does its business and leaves, the Litter Robot's sensors detect this and it slowly begins to rotate the globe, sifting and separating clumped waste from the litter before finally dropping the waste into a garbage bag lined drawer that you empty about once a week. 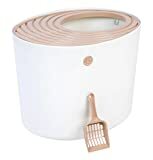 It works with any clumping litter, is completely safe & reliable and unlike most automatic litter boxes, won't jam or clog up. I wish my toilet rotated or did something cool - lucky spoiled cats! Check out the two videos below to see it in action.